Gods hade the power to change their shape at will but some did not choose to do so. However Dionysus loved using the shape shifting power. At one point he coulde be a huge deadly monster but his favourite shape was a young man with expensive clothes and jewels. However this occasionally gave him some bad attention. Dionysus was the God of wine this didn't make him a powerfull god but it did make him quite mischievous however most gods did crazy things it just made him a bit more so than the others. Dionysus would be quite weak against quite a few of the gods but he would laugh at humans with his power. 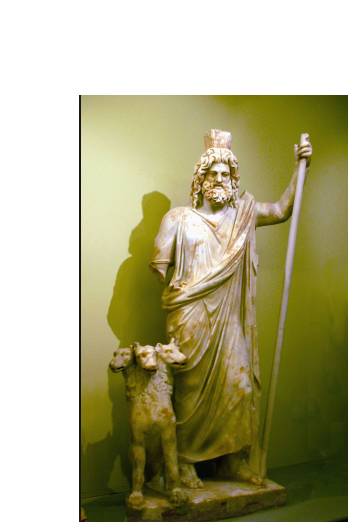 Most of the gods are good or neutral Dionysus is neutral. There are some Gods that are evil like Hades the God of the underworld. One day he was in his favourite shape when some pirates came and took him away. He was held prisoner for days but he was never really trapped he just watched the pirates in curiosity. But eventually he grew uncomfortable with the ropes sinking into his skin and decided to leave. He threw the ropes off himself and the pirate watching him jumped and said that the others should let him go. The other pirates did not do this and instead said that it was because the ropes were too loose. Dionysus then flooded the boat with wine and entangling it with vines in a form of a lion scaring the pirates that could escape off the boat. They then found The island of Naxos and Dionysus then asked the man to drop him off there and when he did Dionysus then shoved the mans boat into the sea. Nobody knew if he survived. He then found Aridane a woman abandoned by Thesus and asked what had happened she told him and after he heard he then walked away and then stopped and said follow.